Get it free on your smartphone now. Create and send invoices immediately after a job is done to help you get paid faster. Record receipts and track paid & unpaid invoices. Say no to messy spreadsheets and paperwork! Simple workflows and intuitive dashboard means you can send invoices in no time. 1. Set up your account. 2. Add a customer and product(s) to your invoice. 3. Send your invoice and record payments. 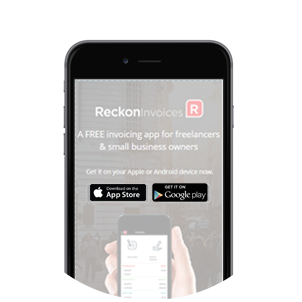 Send as many invoices as you need from your smartphone – for free! Save pricing information and product codes for all your products to create accurate invoices every time. Create a database in your device and have all your customer details on hand, wherever you are. 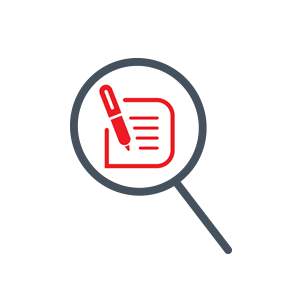 Add your logo to create professional looking invoices and set payment terms to suit your particular needs. Businesses have relied on Reckon to simplify their business finances. Reckon is an Australian listed company that has delivered world-class accounting software to the market for over 25 years. Need to do more than just invoicing? Check out Reckon One – affordable and easy to use online accounting software from just £3/month. Use it to manage cash flow, payments, invoices, bank reconciliation and projects, from wherever you are!